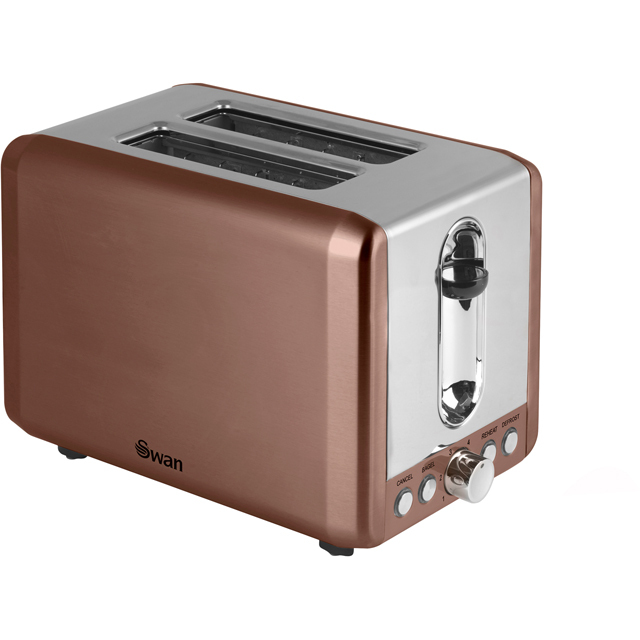 Get your morning off to the ideal start with this stylish 2 slice toaster from Swan. It has a variable browning function, so you can choose how golden you want your breakfast. And, if you like to keep spare pieces of bread stored in the freezer, there’s a handy defrost setting as well. This model also has a special bagel function which toasts just the cut side, for perfect results. You’ll never need to worry about burning your bread either, because the clever automatic centring function ensures your slices sit exactly in the middle of the slot, so they’re always evenly toasted. easy use toaster.no more burnt toast or fingers. perfect toast and crumpets and stylish too.